Sandisk launched a new product to expand the storage space of your iPhone 6 or iPhone 6S in the form of an iPhone case. The iXpand branded iPhone Memory Case can also receive an optional battery for more battery life. Its extra storage makes it a perfect fit for iPhonographers that will be able to save photos and videos on this accessory. Sandisk iXpand Memory Case is sold in 3 storage spaces tp complement your iPhone internal memory : 32GB , 64GB and 128 GB. As usual, you will need to use Sandisk iOS companion app to manage the files of the case. The app can also take care of automatic photos and videos backup to the Memory Case flash memory and erase, if wanted, the mlater from your iDevice to make room. 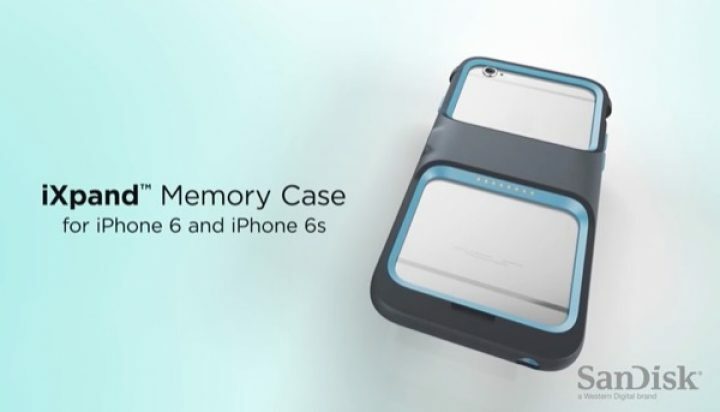 In addition to expanding the memory of your iPhone, the Sandisk iXpand Memory Case can also double its battery-life through the use of an optional 1,900 mAh battery that will be mounted on the case itself. The optional battery is sold $39.